Coahuila is the name of a northern state of Mexico. 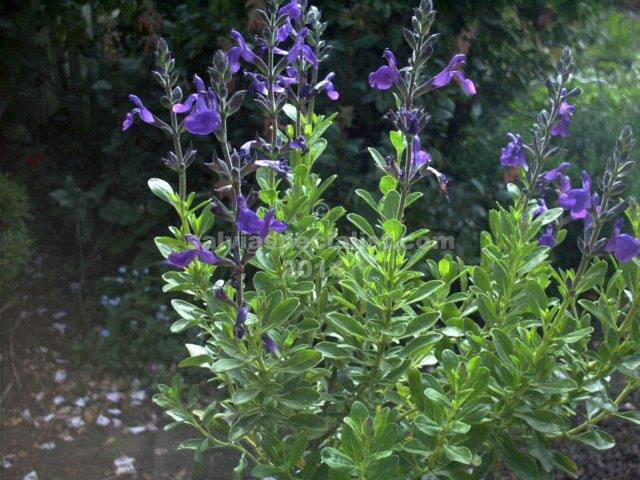 The salvia is pronounced co-a-willensis. 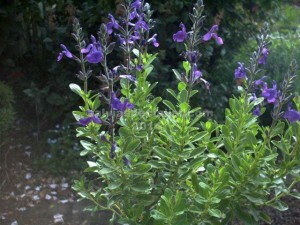 The salvia is a very tough evergreen, 60cm high, which suckers gently to make a small patch. Flowers are a rich purple blue. It is frost and drought resistant and best in sun. It could be pruned back on top in spring or some of it dug up. It grows from cuttings easily enough. The foliage is very much like greggii, which comes in many colours but not blue although there are often salvias sold as blue greggii. The Brits got the name mixed with lycioides so occasionally there is some confusion as some Australians imported it with the wrong name. It is a great front of the border plant but I don’t want to sell more than 3 to one client as I don’t have that many.